Idomoo renders videos on our own render engine, not on After Effects. 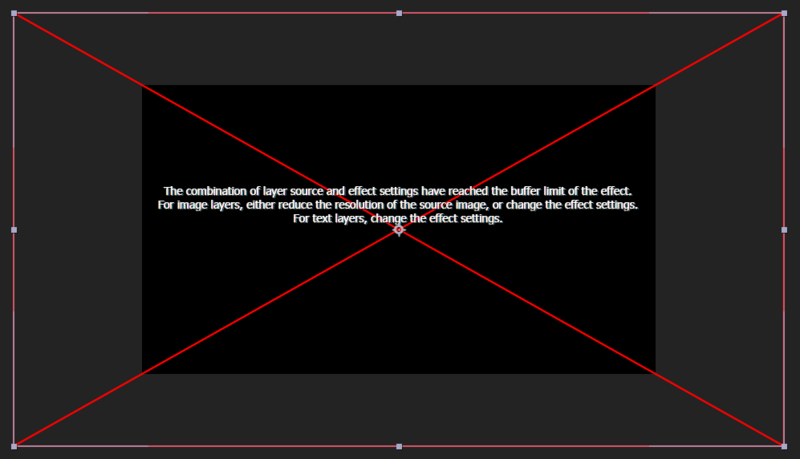 Because of this Idomoo doesn't support all After Effects features, such as Effects. As some effects can be very useful, we went ahead and created our versions of some of the effects. After installing Scene Tools, you'll be able to find these effects under: Effects > Idomoo Effects. ☞ Idomoo effects are limited to producing images that are no larger than 2048 x 2048. Same as our maximum dynamic image resolution. When using a blur or corner pin, for example, you can potentially increase the size of the image. If you do, the image disappears and is replaced with an error message. Decrease the amount or change settings to remove the error message. This is the message you will see when exceeding the effects allowed size.